Is your home just too hot to be comfortable? Are you in need of ac repairs to get your cooling system up and running again? All Week Air Conditioning company is the team to call, for all of your air conditioning service needs. 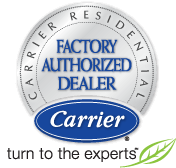 We’re New Jersey’s most trusted name in professional HVAC service, with NATE certified techs, on call 24/7 emergency service, and ac installations and repairs that support all major air conditioner brands. We provide customers with a price quote, and are happy to answer any questions about the necessary repair work. If your system is beyond repair, or if it is very old and inefficient, we also provide expert ac installations. We will gladly recommend an affordable and efficient system to meet your residential air conditioning needs. Our ac repair service also extends to commercial clients. Our techs are skilled with making repairs on roof top units, as well as doing air conditioning installations on a wide variety of commercial properties. All Week is the professional HVAC team that Kinnelon New Jersey residents can trust. Contact us today, and we will ensure that your property is efficient and comfortable this summer season.